Are you exporting to India? 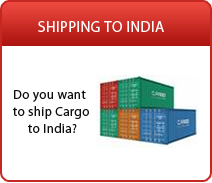 Do you want to ship general cargo to India? 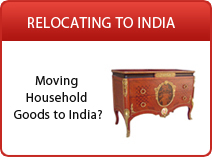 Are you looking for a shipping company who ship to India? The rising middle income groups of consumers in India and their increasing levels on expenditure on various products has resulted in an increased Indian import business. Total import to India is estimated to be around US$187.9 billion. India is also a bulk importer of edible oil, sugar, pulp and paper, newsprint, crude rubber and Iron and steel. Ship2India.com gives you access to a wide range of service providers who specialize in shipping general cargo to India. These service providers will assist you through all documentation and customs formalities. 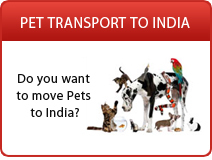 They can pick your cargo from your door at origin and deliver them to your door anywhere in India. Simply complete the quote request form, get free, no obligation quotes from multiple shipping companies and avail the best offers to save on your shipping expenses.